Life gets in the way. What can I say. Life gets in the way 24/7 and you do know blogging is something that takes time. It take lots of it. Too much pressure. I have to admit that I sometimes feel like I have to blog, as if it were a job or a chore. It just makes the whole thing become less fun. I keep making those "I don't feel like blogging" or "I'm not in the mood today" excuses, you know what I'm saying. I feel like blogging is somehow a competition, people put up their incredible contents regularly while I'm doin' nothin' gurl. This is not a good sign. I feel like I have 'not good enough' post ideas. Although I have tons of them in my head, I keep thinking "Does it worthy to talk about?" or "Will someone actually read it?" until I have come to the level where I overthink about it. It's just a post BTW. Not having enough time. This is legit one of the biggest reasons why I have fallen into a huge slump. Sometimes life gets really busy and when that just continuously happens, there is just not enough time to blog. Read blogs that inspire me. For this part, I have to say Bloglovin' is the answer. Haha. Nothing new. Even if I don't feel like blogging, looking at other posts that I like somehow helped me to get my blogging mojo back. Bloggers like Nicole from The Glam Surge, Jasmine from Jasmine Talks Beauty , Erin from Make Erin Over and Erin (again) from Erin Azmir are definitely my huge inspiration! Not only they have the coolest and prettiest theme, they also have tons of killer posts. Take a break. Honestly speaking, taking a break from blogging is 100% okay. Sometimes I get a little too overwhelmed, exhausted and I just don't have the right time. I used to be worried about taking a break from blogging (well, up until now actually), but I don't have to push myself sososooo much. It's very okay to take break. Make a list. Okay this is new. You guys might find this weird but I do list down the things that I love about blogging in my little notebook because I want to focus and zoom in on the bright side of it. It actually helped me to enjoy blogging once again! I love making lists and once I'm done I will read them over and over until I get all giddy again. Then, and only then my brain can function and blogging again. Push myself but not too much. At the end of the day, I still have to push myself a bit too. However, I don't want blogging to become a chore or a hateful reminder of something I have to do. I do pushed myself (like what I'm doing now) but I'm not giving my 100% effort in it. I mean I still have to put up a new content on my blog or else people might think I'm dead. Have you ever fallen into a blogging slump? How did you escape from it? Tell me in the comments! I'm in the slump rn. I literally kept on posting so my blog won't look dead instead of you know, have fun. Ughh I feel like I've been in a slump these days but my recent post was literally three days ago. Haha! the right post in the moment i need it! thanks! I sometimes having the pressure to blog too and it made me hate blogging. So taking a break from blogging is a good thing to do to avoid the hate-ness. Umm.. This would just be my two cents and please don't take me wrong eh.. Well, I don't want to feel the burden of updating the blog.. I mean, it's our blog, and we control it of our own so why must we pressure ourself? It's not a compulsory afterall, so taking a break is fine, Lenne.. So don't pressure yourself and just take the break when u need it.. 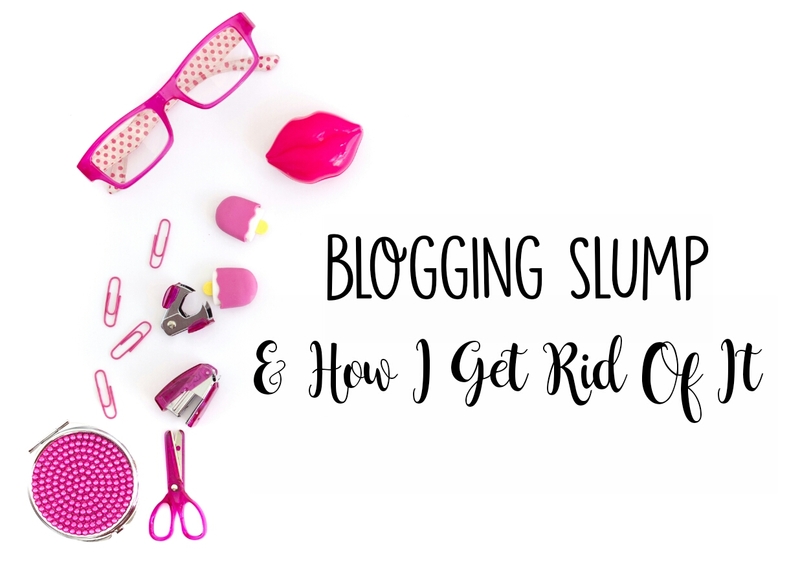 I think everyone falls into the blogging slump every once in a while. To be quite honest, I think I'm going through one right now haha. It's a little overwhelming when you take into consideration all the things you have to do to create a post; I just end up putting it on the back burner until I feel motivated again. I feel you! sometimes I want to get motivated again but there's just something that holds me back and I feel unproductive all over again towards my blog haha. you're right, Siqah. banyak post yg terkandas dalam draft and sometimes lenne malas nak edit and lenne buat lagi post baru haha. 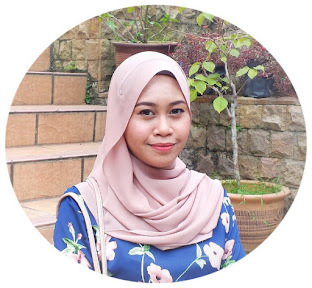 mood memang play an important role kalau nak blog sebab ntah lah, lenne rasa readers boleh detect that kita not in the mood based on the content yg kita publish kat blog hihi. but anyway keep on blogging! keep on inspiring! One way that I drag myself to blog is just like what you said, explore through Pinterest and blogwalking while listing out topics I'm interested in. It's really important that they're compatible with me. Like I can relate to the topic so I can write it the best I can. Yup, platforms like so can go a long way. I mean, they helped a lot! Yes!!! I do have blogging slump most of the time. Hihi.